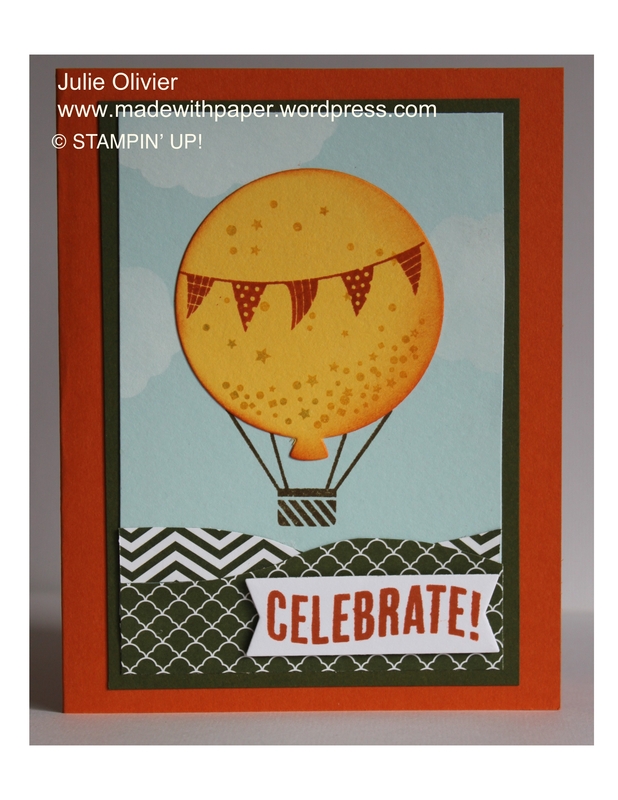 Today’s card is what I could say a “typical” birthday card with lots of balloons! 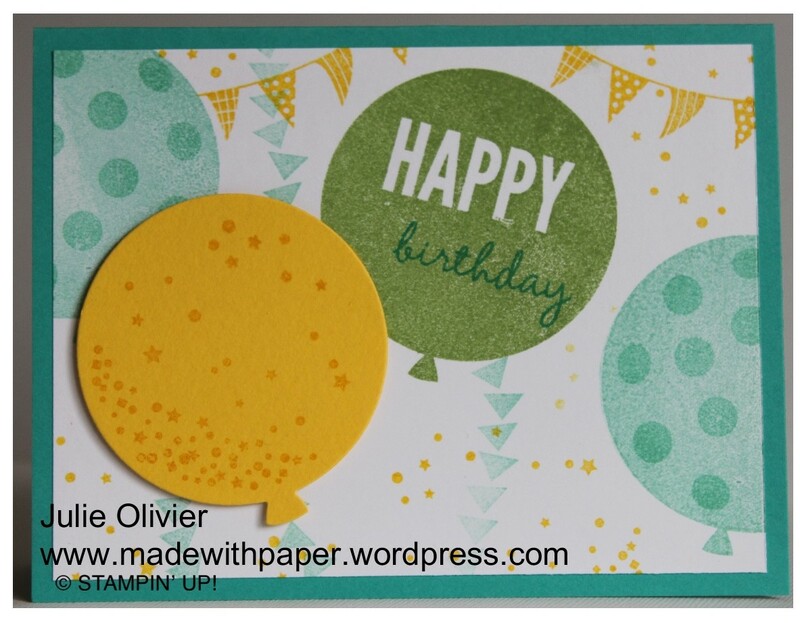 made with the stamp set “Celebrate Today“! I tried to use “neutral” colors to make a card that would be good for anybody, boy or girl. The colors I used are: Pool Party, Wild Wasabi, Daffodil Delight, and Bermuda Bay. 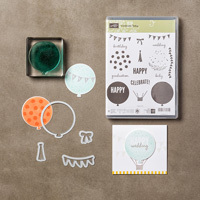 This stamp set has a matching Balloons Framelits dies to cut the balloon and other pieces as well. It’s a very festive set and includes greetings for wedding, baby, graduation and of course birthday! You can get the stamp set and Framelits as part of a Bundle at 15% off! It’s a great set to have for sure! Celebrate Today Bundle #138869 $45.00 Order it today!